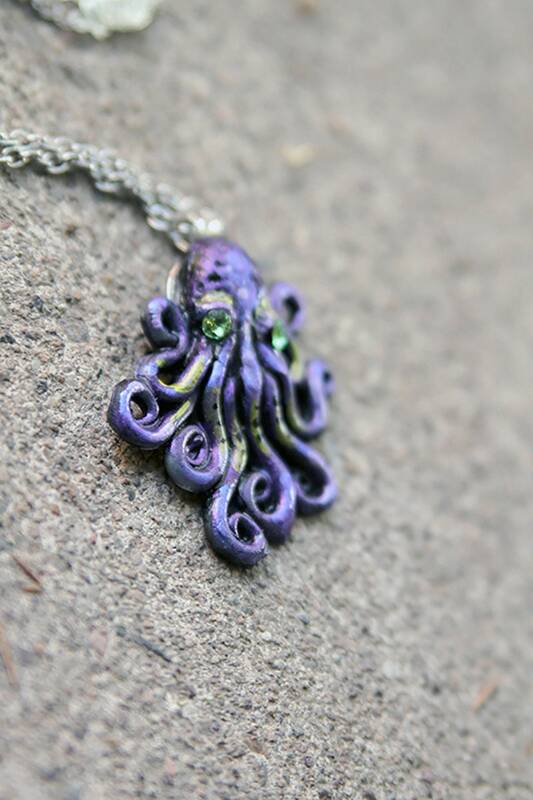 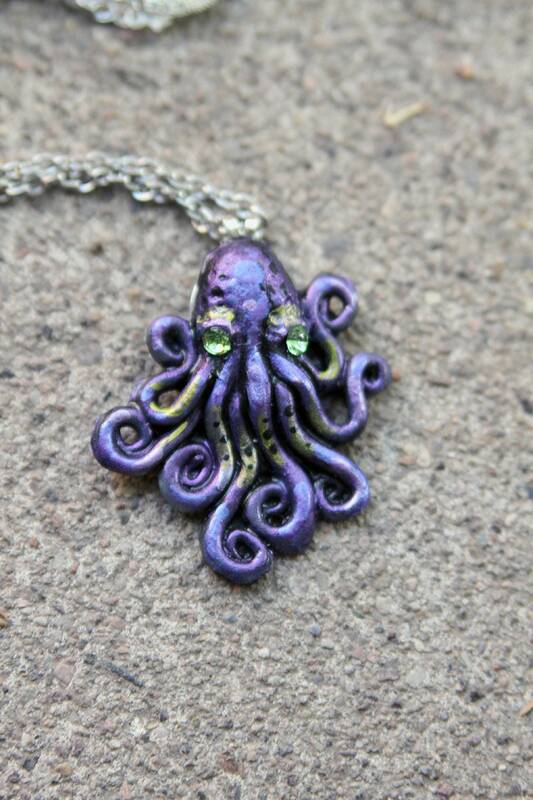 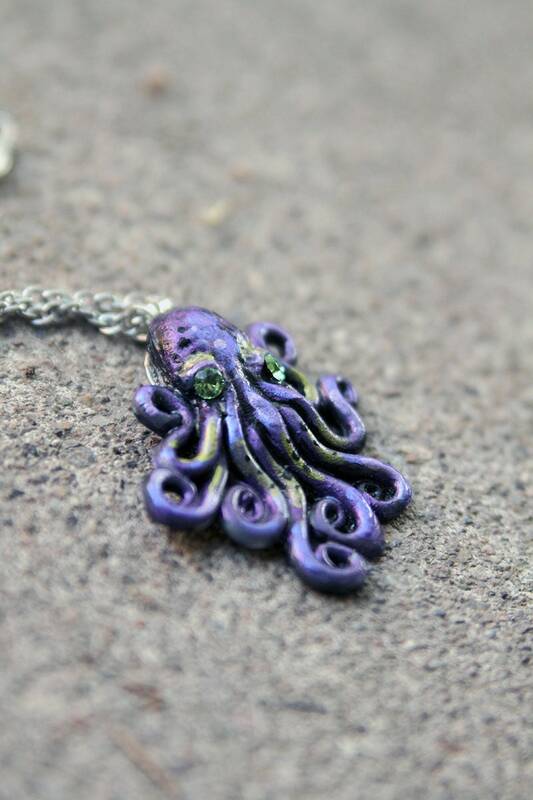 Cute purple octopus pendant necklace. 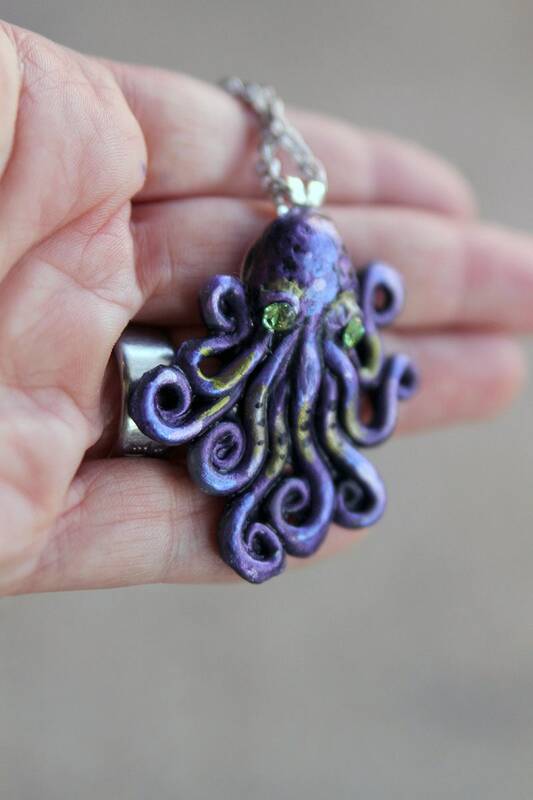 Hand sculpted mold and poured cast resin. 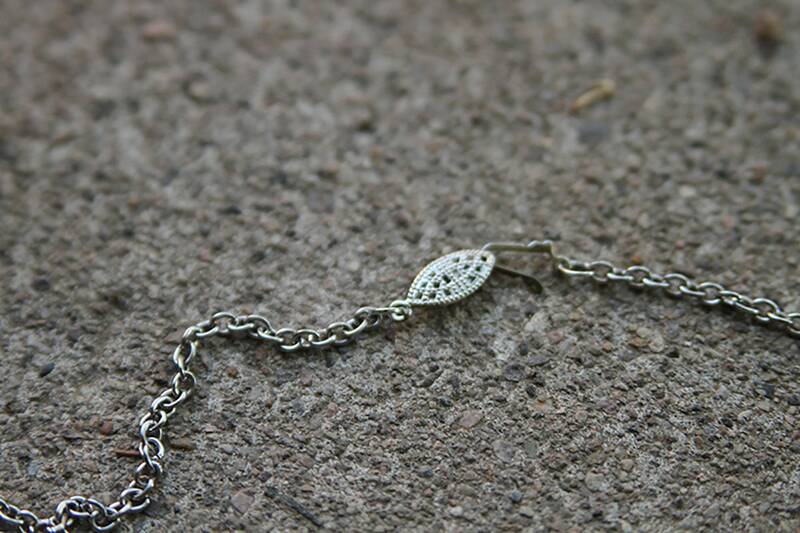 Features Swarovski Crystals for eyes! 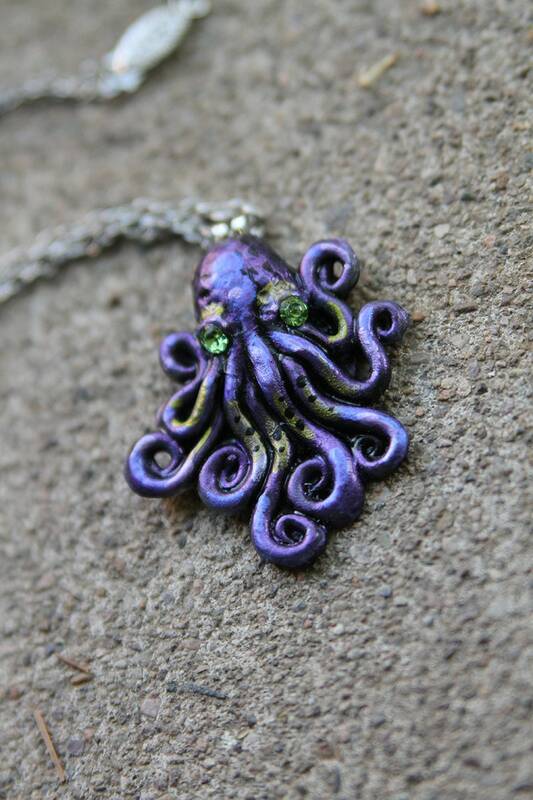 • Pendant measures approx 2" x 2"